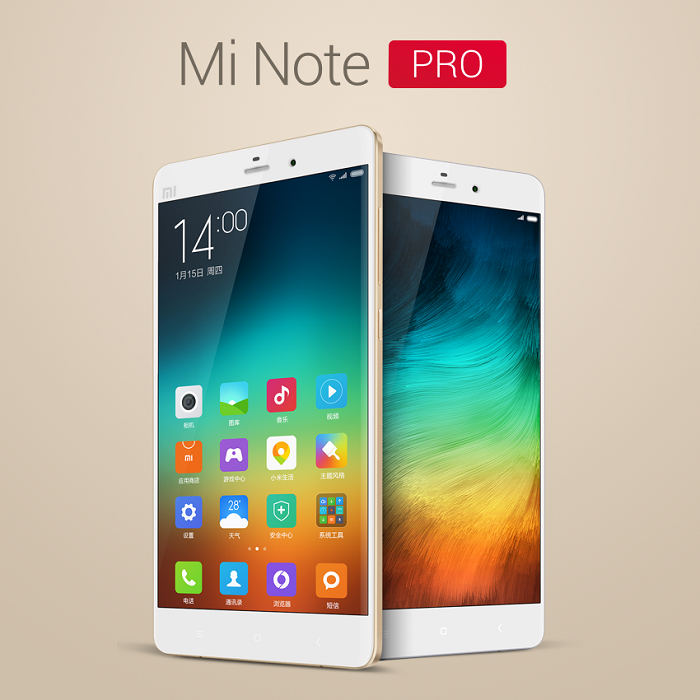 Simultaneously with the announcement of the smartphone Xiaomi Mi Note the company announced the launch of the model Xiaomi Mi Note Pro. In order to demonstrate the high level of performance, our engineers have done a very complex and rigid design work for the design of Mi Note. They not only placed in an ultra-thin flagship, the thickness of only 6,95mm, key parts and components, ultra-high performance and resorted to a very complex and at the same time kind of treatment is not cheap, but chose aluminum alloy frame for the flagship, and also created a curved display wear. As a result of numerous technologies, ultimately Mi Note has bright jade glow and excellent feel when working with a leader. Mi Note fascinates not only because it is large enough and it is very thin, but the fact that he has an incredibly high and powerful features. Based on the platform of a 4-core processor Qualcomm Snapdragon 801 with a frequency of 2.5 GHz, 3 GB RAM High speed LPDDR3, continuous response to all your requests and needs, more cheerful large-scale 3D games, watching HD movies, the simultaneous execution of multiple tasks and fast switching with one task to another. Even larger screen, better performance. The presence in Mi Note 5.7 inch LCD display with a resolution of Full HD production Sharp / JDI. Improving display contrast from the usual 1000: 1 to 1400: 1, as soon as you turn on the backlight, expressiveness and an abundance of flowers, and their contrast pleasantly surprise you. In addition, for the first time in Mi Note applied technology "pixel adjust the contrast of the screen" - an independent monitoring and control of the contrast / brightness of each point of the screen. Now, even with bright sunlight, you can clearly see the screen. 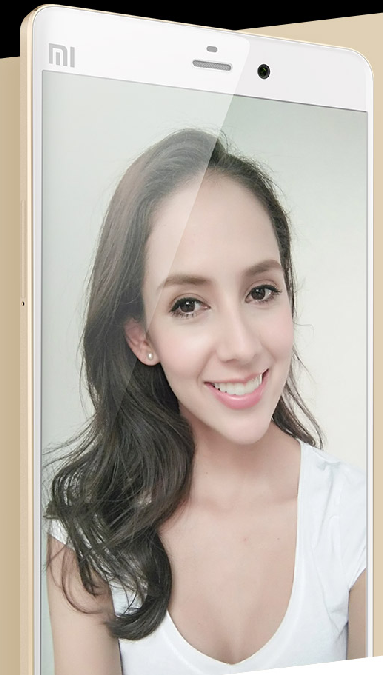 Mi Note Pro is equipped with a 5.7 inch display, 4K Full HD with a resolution of 2560x1440, it already exceeds the resolution of a 24-dyuyvogo computer screen, more in 1.7 times the resolution of 1080p. To name «Pro» corresponds to reality, we, together with the companies Sharp / JDI carefully and meticulously worked on the creation of individually designed screen and backlight, membrane, liquid crystals, etc. At the same time developed a progressive display that is clearly visible even when the sun's rays, the liquid crystal, rich variety of color gamut display. 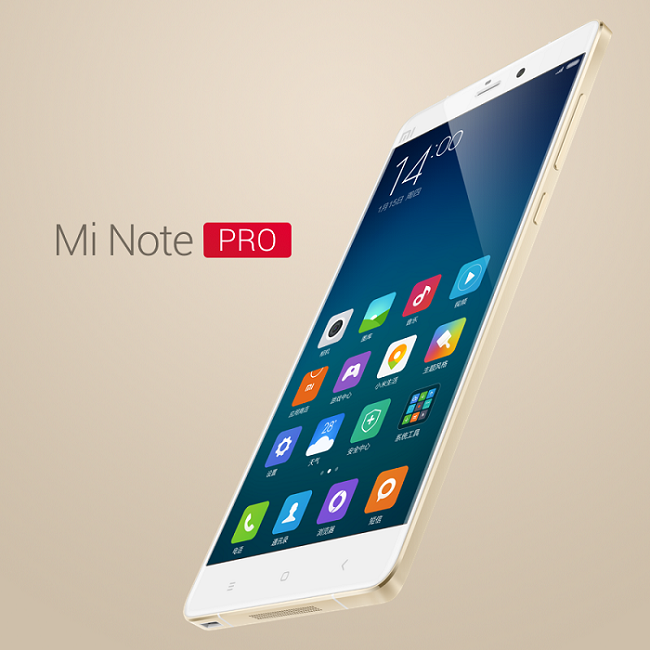 All this has enabled 5.7 inch display Mi Note Pro version PHABLET be excellent. Every owner of a smartphone Mi Note can capture every moment of his life: a lovely dinner during your honeymoon, incredible scenery during your travel last minute ..... Furthermore, we have optimized and upgraded camera, namely, its viewing angle. Especially for Mi Note, we have applied the optical image stabilizer function, even at night, to make clear and accurate picture can be in an instant. Moreover, the presence of two-color LED display facilitates more natural colors. Even at night you can make great photo. Improved front camera is 2 MP, even better self. Have 36klassa smart colors, HDR lighting, and all this will make you a masterpiece of photography. Version with network support 4G (LTE). Mi Note support China Mobile, China Unicom 4G. Now you can at this excellent smartphone, use two numbers simultaneously, regardless it will be your work number or personal (home). Mi Note can meet all your communication needs. I enjoy traveling, listening to music, whether it's rock 'n' roll or indie now bring you even more high quality music playback using Mi Note! For powerful sound of PHABLET, we resorted to the use of the acoustic module Audio Hi-Fi, and put him in the Mi Note. With this system, each sound is handled appropriately, and the resulting sound is not the same: the human voice sounds more exciting, more expressive musical instrument and gently, and low tones deeper and more voluminous. Minimum distortion, and the capability to reproduce the original sound of audio files, you can now hear every detail, every touch and to feel fully as a listener in the hall. MIUI focused on improving the 5.7-inch screen Mi Note, updated interface and other basic items. As a result, the content of 5.7-inch interface Mi Note, when compared with the 4.7-inch screen, is greater than about 25%. For those who like to browse a lot of information, we have updated and improved the system mode large font and adapted it for other applications. It is also an opportunity to reduce the working area of ​​the screen, so the management PHABLET one hand it becomes very convenient. You will enjoy the 5.7-inch Mi Note, with its new features. Mi Note is not just a phone, it is the center of high-tech clusters. In addition to the powerful processor, it has a special camera with an optical image stabilizer, high-quality Hi-Fi Media Player, even more high-quality and high contrast LCD screen - and all of these benefits has Mi Note. The farther, the more powerful features - in a very thin and light PHABLET we have placed a large capacity battery to 3000mAh (in Mi Note Pro 3090mAh), high-speed WiFi, Dual Sim and many other new technologies. And this is not a complete description of all the features of Mi Note, as soon as you take it in hand, you will immediately feel the power of it. The version with network support 4G (LTE). 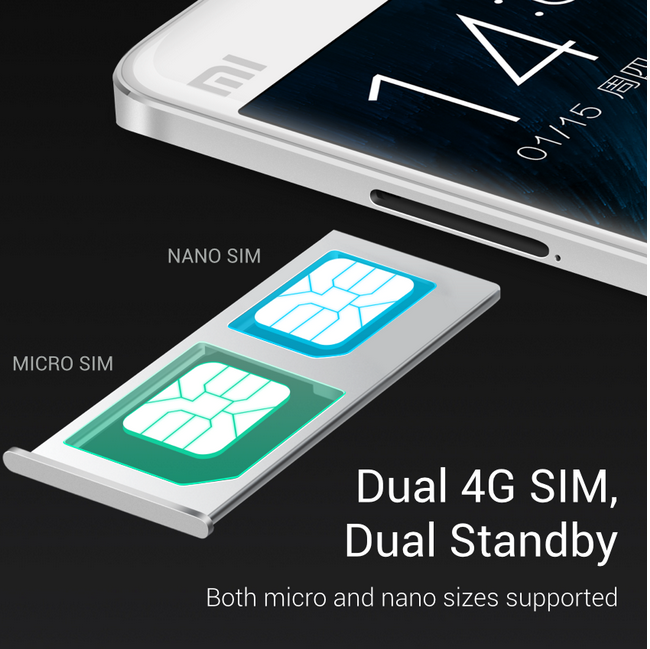 Mi Note not only supports Dual Sim Dual Standby with two slots, both SIM-card used for voice communication, data transmission and supports LTE 4G. Now you can simultaneously use two numbers. Use one card for the Internet, the other - a more favorable tariff plan, or a single number as a worker, and the second - as a personal number. This means that you simply take with Mi Note and you implement all your business and personal needs. As soon as you turn on the Mi Note, bright, rich, stunningly beautiful screen will surprise you! Using a new generation of LCD, achieving unprecedented contrast, chiaroscuro display more vivid and clear. People admire the ultra-high color saturation degree of the previous models, but we once again managed to improve the performance and reach 95% NTSC color palette. This figure exceeds by about 30% of the sRGB standard conventional phone, which means that the Mi Note displays more shades of colors. 5.7-inch display is similar to a notebook that you can carry with you. Mi Note, compared with the 4.7-inch phones, contains 25% more data, so you can read books, watch movies, play games and much more. In conventional phones contrast ratio reaches only 1000: 1. Our LCD screen has a high contrast LCD module because it has a better capacity of light (brightness), and even at low power consumption, the screen lights up more brightly. Application of UV Align Technology promotes that while displaying black color, the LCD module makes them even deeper shadows become darker, bright colors - more vivid. So in the end we reached a ultra screen contrast 1400: 1, any image will immediately attract attention, and its color will be even more charming. How to make so that we could clearly see the screen at the bright sunshine, as if the room? You can say that the easiest way to address this issue is to increase the brightness of the screen, but in this case you will not only be limited to adding the possibility of brightness, you also significantly increase energy consumption. With the technology "pixel contrast control system" that we used in the Mi Note, at any time, you will have an opportunity to adjust each point on the screen, and to increase the contrast of the image depending on the circumstances. With this technology, you can no longer afraid of sunlight. At the same time the screen Mi Note consumes 30% less power compared to other traditional screens. If you are indoors, this technology will help you to create an incredibly natural and vivid images on the screen. The Mi Note uses Qualcomm Snapdragon processor 801 4-core Krait 400 with a frequency of 2.5GHz, compared to previous generations of improved computational speed by 14%. RAM 3GB, even when playing 3D games or doing a lot of different tasks, you will not have any problems. Excellent performance and thus low power consumption. The combination of 28nm technology with energy-saving core of Hexagon DSP, so even for watching movies, listening to music, photography, and other such functions must be extremely low energy consumption. Due to this property PHABLET, you can safely use any application and nothing to worry about. we put the 4 core Cortex-A57 and 4 Cortex-A53, and received a total of 8-core processor. As a result of this combination, the internal memory is also increased. We use the latest mobile standard LPDDR4, that more than 1.7 times from LPDDR 3, the internal memory (RAM) has increased to 4 GB. Such an assembly of the world's advanced technology has created a "weapon" designed to quickly fulfill all your requirements. Mi Note has all the properties of the graphic editor. 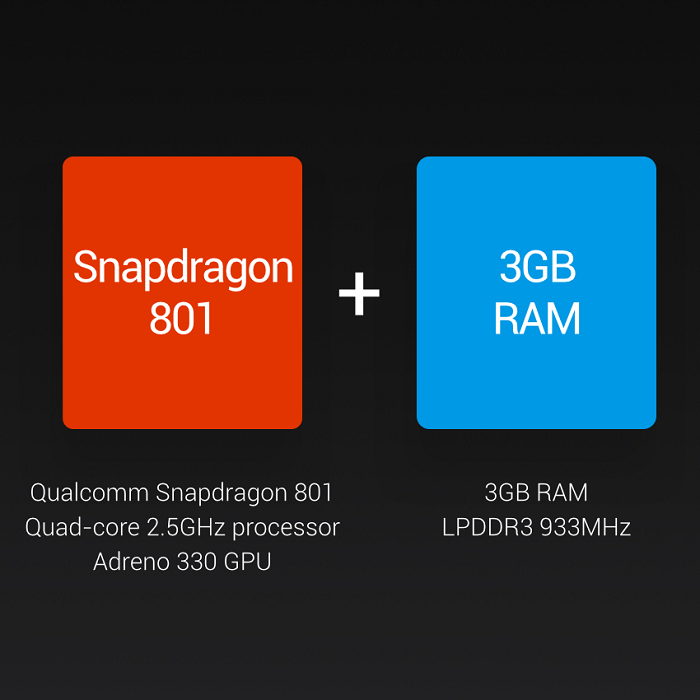 For maximum performance, Mi Note Pro, we chose the graphics processor Qualcomm Adreno 430. Its characteristics and performance Adreno 330 above 80% and power consumption is lower by 50%, all of these properties are based on 20nm technology and the improvement of software and hardware. Now the owner of all these advantages Mi Note Pro will help you assess the speed of response, and smooth animation while playing 3D games or watching Full HD movies. The larger the screen, the stronger the performance of the device, the more it consumes energy. Therefore, ultra PHABLET Mi Note thickness of only 6.95mm equipped with battery capacity of 3000 mAh (Mi Note Pro 3090 mAh), challenging all other devices. Using Sony / LG 4.4V high voltage lithium ion polymer batteries, and the battery size, compared with 4 Mi, decreased by 8.5%, while the energy intensity increased by 6.3%. So eventually we got ultra-thin device with a lot of energy, so you can use Mi Note even longer. Support for fast charging Quick Charge 2.0, so in case of emergency you will not have to wait very long until PHABLET Mi Note charged. Often, in order to photograph something that people use phone, so we particularly the focus on how to improve the chamber and thus make it even easier to use. We used the 13-megapixel camera with a special feature optical image stabilization, more two-tone LED flash betray even more natural colors to your photos during night shooting. We have also added more interesting new features that make shooting more fun and more fun. Increasing the shutter speed up to 32c and the availability of night illumination, adding features HDR and loved by all the quick exposure adjustment function, so you can easily make a creative high-quality pictures. The front 4-megapixel camera, rich pictures with all the details, the better image of dark shades. Simultaneous 36 smart color, so you can make even more beautiful self. 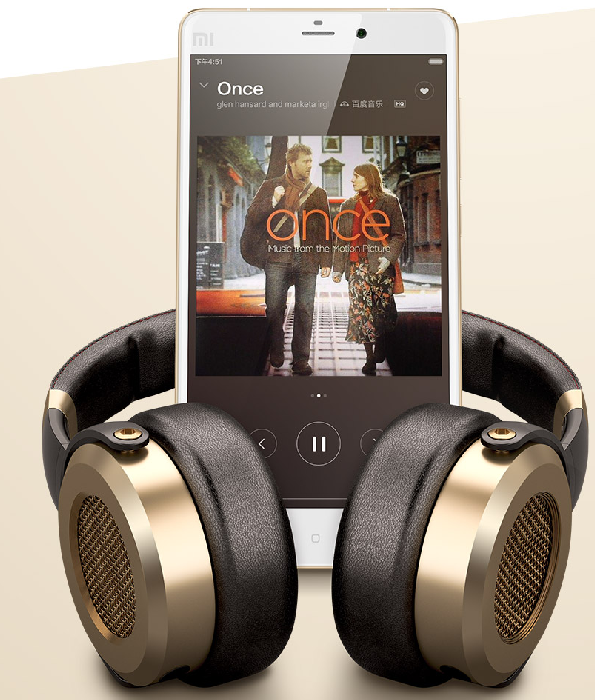 There are no people who would not have loved the music, now with the player Mi Note you will enjoy high-quality sound. In order to achieve the quality of the sound recording studio 192kHz / 24bit, we took special basic technology Audio HiFi components and put them in the phone, this is equivalent to the fact that we have increased the sound card of the phone. You can listen to music without any damage to the format, incredible feeling, hear every detail and a touch of music tracks. The Mi Note we put a secondary operational amplifier, which solves the problem of managing complex high-impedance headphones. Thanks SmartPA music, you can listen to music even louder. This system improves the sound effects embedded mobile speakers, moreover ensures that no damage as a result of the loud speakers playing music. This small upgrades will help you out if you do not have handy Bluetooth speaker, so you can freely have fun with the music. 802.11ac is the latest standard for Wi-Fi, the speed of which is 3 times faster than on the previous generation of wireless internet. These properties allow you to watch video on PHABLET higher resolution or faster download large files. At 5GHz frequency noise is far less than when 2.54GGts, so Wi-Fi Mi Note faster and more stable. Coprocessor Sensor Hub will not only help you find everyday traffic, but will also act as their own gyroscope, accelerometer, digital compass and other sensors. Therefore there is no need to further load the main processor in order to reduce power consumption. You can also make so that coprocessor Sensor Hub is constantly working to help keep all of the information about the movements, but there is no need to worry about the amount of energy consumed. New applications of motion Mi, PHABLET help make more intelligent. Make your phone your faithful companion. Mi Note has many functions necessary for life, for example: GPS, pedometer, compass, barometer ...... .These functions can be used not only during travel, hiking and other such activities, but also in your everyday life. We use numerous navigation maps, but you can not do without a more rapid and accurate GPS. And many other situations in which you need anything, and you will find that we are all prepared for you. 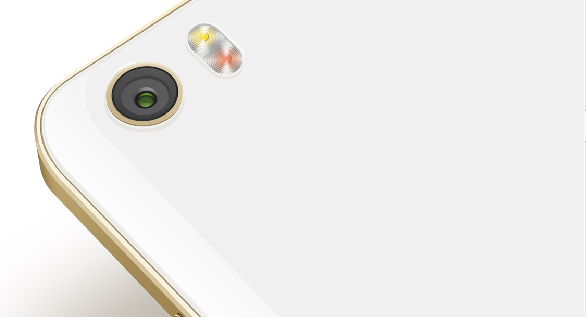 For the excellent appearance and pleasant tactile sensations, we, along with Mi Note again challenge the technology. No matter internal or external design engineers again and again ponder: can use glass of higher quality raw material and natural bamboo, the degree of complexity of the technology of processing curved surface is very high, and at the same time also need to arrange all the important details of the interior of the ultra-thin 6.95mm Mi Note. For the front and rear surfaces PHABLET use the same curved glass, besides the rear panel also has a curved design on the edges, the use of an aluminum frame, as a result of numerous technologies, the end result Mi Note has bright jade glow and excellent feel in the work on the flagship. For both thin and light housing, and to ensure the structural strength, we used nanotechnology injection molding aluminum frame. 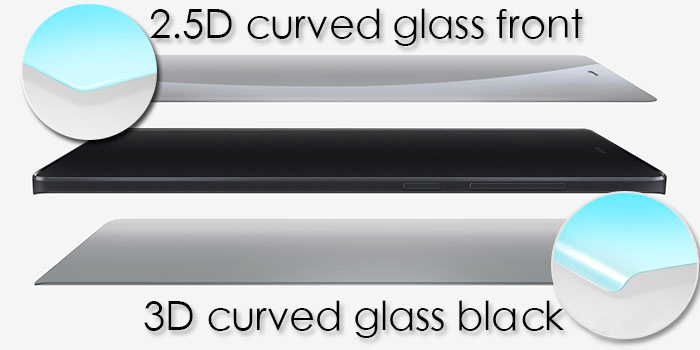 Dazzling curved design thickness of only 4.1mm, improves your feelings while working with PHABLET. Not only that PHABLET very thin, its rear panel striking in its uniform surface, particularly attracted the attention of the camera. In its work, the engineers have tried to apply various image stabilizer, in order to meet our high standards. In the end, engineers have upgraded the camera module, has developed a unique patented technology design 13-megapixel camera with optical image stabilization, and finally placed in an ultra-thin Mi Note frame. model of natural bamboo material. In China, every day make an incredibly huge number of images using the Mi Note. camera has optical image stabilizer function.